Lilymarlene's Edible Garden: Spring efforts.....! The photo shows the state of play on Tuesday after clearing up the winter cover on 6 of the beds. I am happy to be getting to grips with what needs doing to wake the garden up. 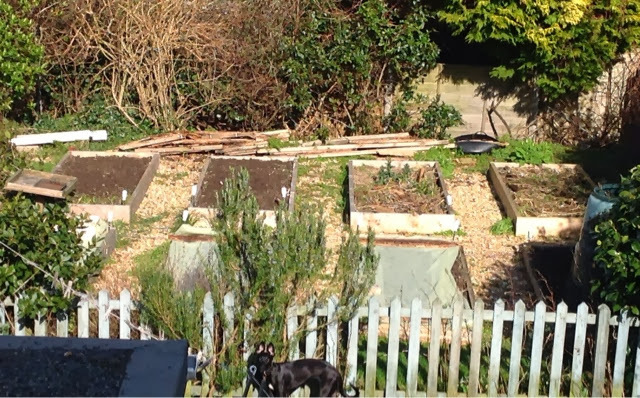 Since the hoot all these beds are tidied and the back three starting from the rh side are planted up. Potatoes in beds 4 and 3, and onion sets in 2.